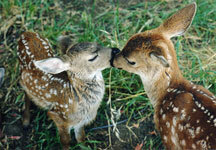 You Can Help WildCare’s Wild Babies! Spring and summer are Baby Season at WildCare, but some young ones start arriving as early as February!Your Baby Animal Sponsorship means we’re ready to help wild babies whenever they arrive. Thousands of orphaned wild animal babies are helped in our hospital because their mothers and fathers have been injured or killed. In most cases, the parents of these vulnerable babies have been lost as a result of a direct or indirect human interaction. The babies that receive medical attention from WildCare come from many different species, but just like human babies, all have in common the need for warmth, gentle care, proper nutrition and a feeling of safety and security. You can help these babies by sponsoring group of baby animals at WildCare. We never raise orphaned wildlife by themselves, so Your sponsorship will help fund the care, feeding and housing for these special patients that will prepare them for release back into their natural habitat. These wild babies will make anyone smile, and with your sponsorship you’ll be giving all of WildCare’s orphaned baby animals a chance to grow up strong and healthy and to return to their homes. $50 could provide nearly a week’s worth of fruits and vegetables full of necessary nutrients to help your babies grow up strong and healthy. $100 could buy a good gram scale that will help our babies’ foster care providers quickly determine if a problem is developing. $250 could purchase a brooder box or an incubator to keep babies warm and safe when they are at their smallest. Virginia Opossums, as North America’s only marsupial mammal, live their first few weeks warm and safe in their mother’s marsupium or pouch. 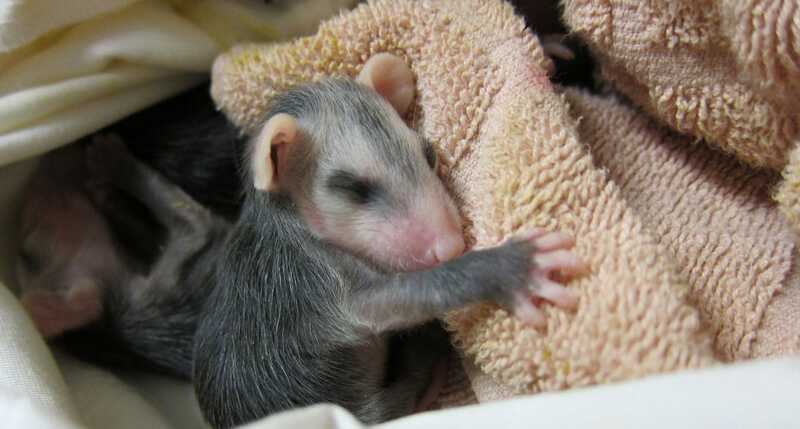 Newborn opossums that have lost their mother need an external heat source. Baby birds thrive on insects. Mockingbird babies in foster care require hand-feeding every 30-45 minutes from a dedicated care-giver, from sunup to sundown, until they are able to learn to feed themselves. 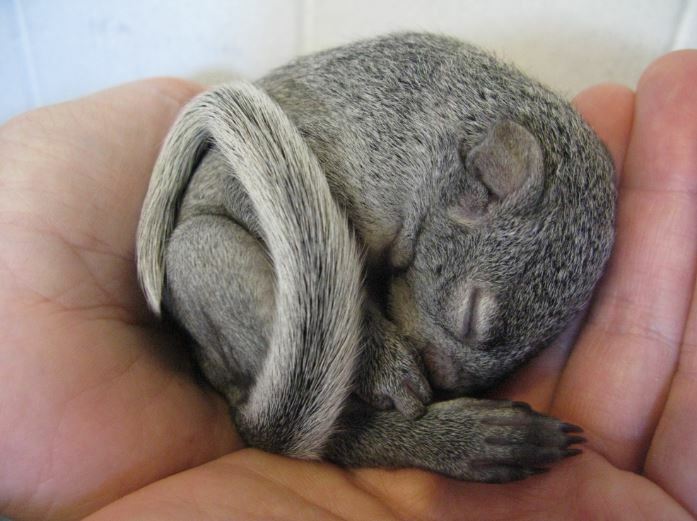 Orphaned Western Gray squirrel babies are fed special formula developed to approximate their mother’s natural milk. They are weighed daily to be sure they are thriving on the substitute formula. These babies sleep in a “hammock” constructed of a soft cloth and clothespins hanging from the top of their wire cage. 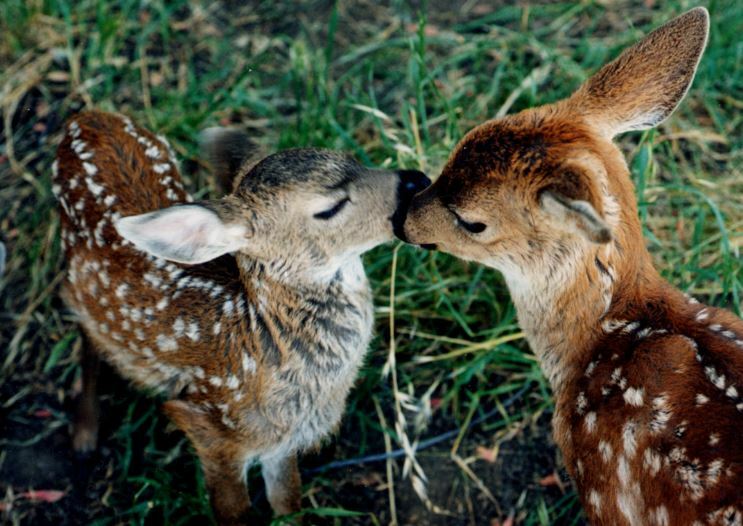 Black-tailed fawns need predator-proof housing with a large fenced area that allows them enough space to be able to grow, run and gain experience and stamina to escape predators. Orphaned baby Screech Owls need hand-feeding until they are old enough to hunt for themselves. Then they need a large aviary where they can perfect their silent flying skills! These little owls feel most comfortable in a small wooden box that replicates their woodland nests in the hollows of trees.